As a former teacher who spent 7 years in the system, one of the things that really bugs me about today’s schools is the undercurrent of fear and control-based social conditioning that they subject our children to. Yes, our children do learn valuable skills and information, but often at the cost of their overall health and prosperity. Our schools, while they do indeed try, ultimately fail to fully harness the power of today’s young minds because they emphasize routine, discipline and testing over exploration, compassion and innovation. Another problem today in education is that we simply aren’t teaching kids what they really need to know to be successful in life. While it is important to learn basic math, science, and reading to survive in today’s world, it is also important to teach kids how to thrive. Meditation is a fantastic practice that many people do not have any instruction on whatsoever. Meditation clears out the clutter of anxious thoughts, helps people focus, and increases mental (and physical) health. The positive effects of meditation are well-documented. How wonderful would it be if each morning students had 10 minutes of mindful meditation before beginning their school day? They’d start their morning centered and peaceful rather than rushed and scattered. I would imagine this would have tremendous effects on learning gains as well as behavior. 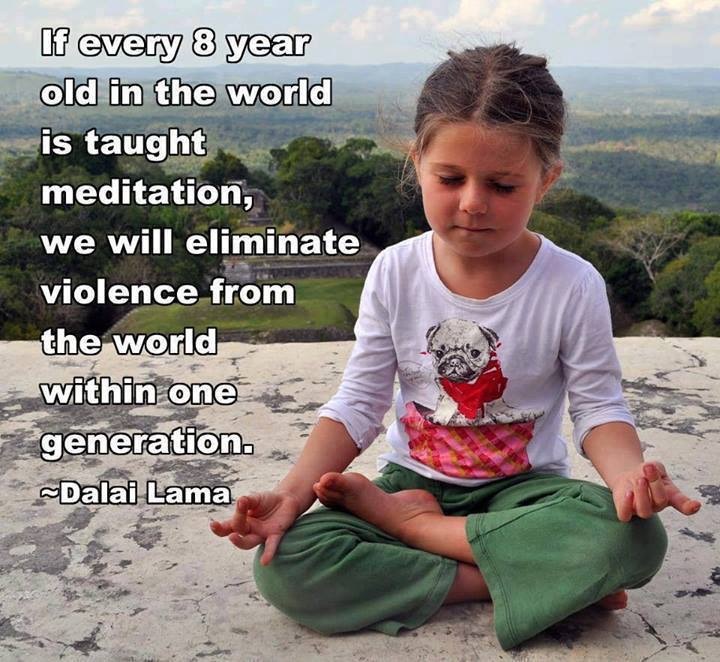 Beyond that, 10 minutes of meditation would be easy to implement! Most teachers need a few minutes at the beginning of class to take attendance, so many of them already give silent work to get students settled and ready for the day at the start of class. Replacing these “bell ringer” activities with meditation could be a quick and seamless way to start improving education. Why aren’t schools teaching our children how to take care of their bodies? Particularly in the United States, we are failing to educate our kids on the importance of nutrient-rich, organic, and non-GMO foods. The genetically modified food packed with chemicals that stocks our shelves and feeds our schoolchildren is very likely responsible for skyrocketing obesity and cancer rates. Especially in a time when health hazards like these are on the rise, wouldn’t it be wise to teach our children how to make sound nutritional decisions? Sadly, I’ve seen first hand what “lunch” (I use the quotation marks with much exaggeration) looks like in a school cafeteria. The choices our schools make in regards to nutrition leave much to be desired, and that’s putting it mildly. I think the education system would be wise to honestly address this issue and take measures to educate today’s youth on the importance of TRUE nutrition. No more BS about how fruit cocktail is a “fruit” or how chicken nuggets are a good source of protein (claims that I’ve seen with my own two eyes on the school lunch menus sent home in my daughter’s backpack). The thing is that kids already learn about nutrition in school, so we don’t have to completely overhaul the system to fit in new courses on nutrition. We just need to start being honest with them about what’s really going on with our food. Let’s be serious: 20 years from now, proper nutritional education (or the lack thereof) will have a much more profound impact on the lives of young people than Algebra 2 will. From a very young age, we have had it beaten into us that there are rules we must follow and a very specific path we must walk down if we want to be successful. Many of us buy into the idea that we must go to college (usually by taking on massive loans), and get an acceptable job (like being a doctor, accountant or a lawyer) if we want to be successful in life. This rigid thinking sways many young people away from exploring their true passions. If we could teach our young people that anyone can use the Law of Attraction to create a successful career out of their passion, we could improve the world dramatically. New career options would emerge, and innovation would go off the charts. More importantly, people would be happier because they would be doing what they really wanted to do, rather than wasting their lives away doing work that didn’t inspire them. Teaching students about the Law of Attraction from an early age would give kids the tools they need to go after their big dreams and live fulfilling lives. It’s nothing new agey. It’s just the simple practice of believing in yourself, and aligning your thoughts, emotions, and beliefs with the results you wish to achieve. To be fair, I do believe that education does serve a valuable purpose, and we are fortunate that most people today learn literacy, mathematics skills, social studies and science (amongst other subjects). However, this is a very narrow scope of what we could be teaching the students in our schools, and I believe it misses the mark on what our children really need to know in order to be happy and successful in adulthood. By teaching kids how to meditate, proper nutrition and the Law of Attraction, we would give students the tools they need to not only be knowledgable, but to flourish. We would improve our nation’s health (both physically and mentally), and our economy would expand as more people would have and create innovative and passionate careers for themselves. With happier, healthier and more prosperous citizens, we’d also very likely reduce violence and crime. It’s something to think about. At the end of the day, I just couldn’t hack it as a teacher anymore because I couldn’t be a part of a system that I felt was hurting more than it was helping. As a mother and as a human being, I want a better future for our children, and I think that many people out there probably feel the same way. We have the ability to be the generation that improves the world through education and I hope we can say one day that we were the ones who finally did it!